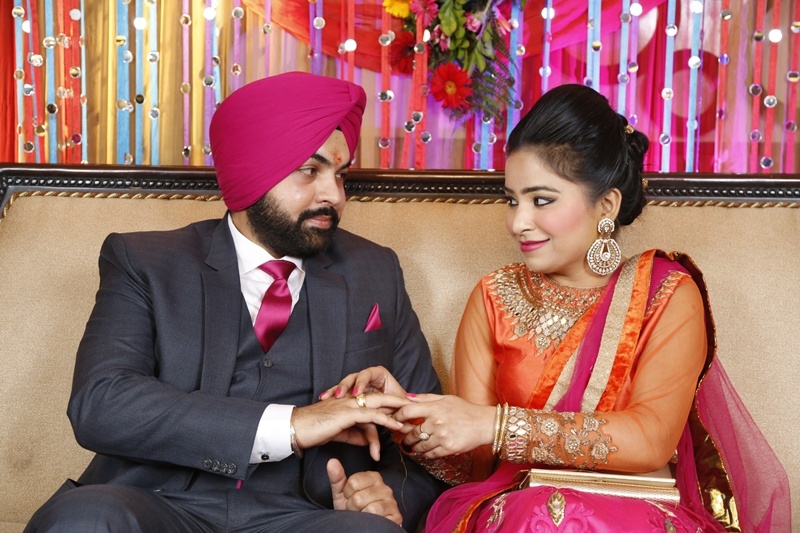 Harpreet and Amanpreet tied the knot in a peaceful wedding ceremony organized at the holy Gurudwara. 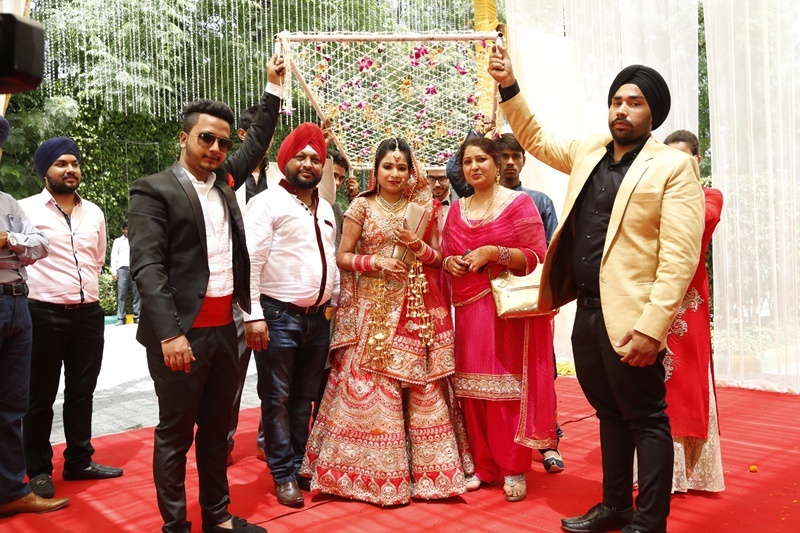 With a floral canopy over her head, Harpreet made a stunning entry to the wedding venue, wearing a gorgeous red lehenga. 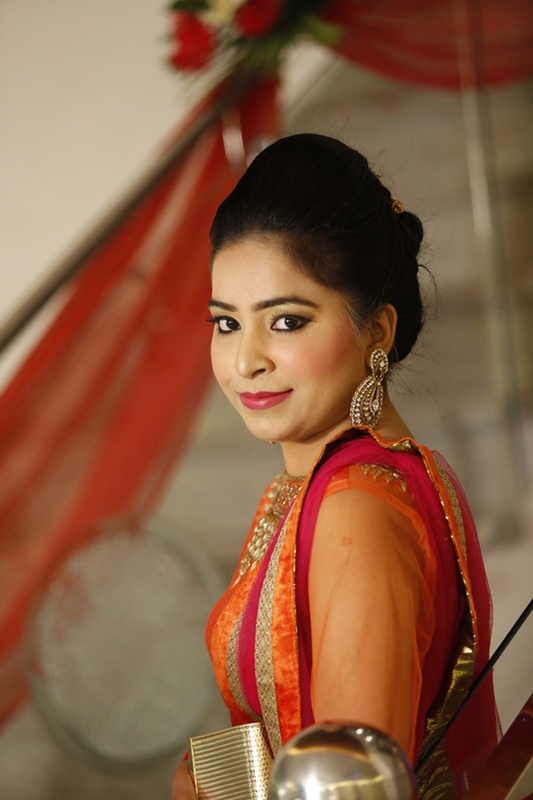 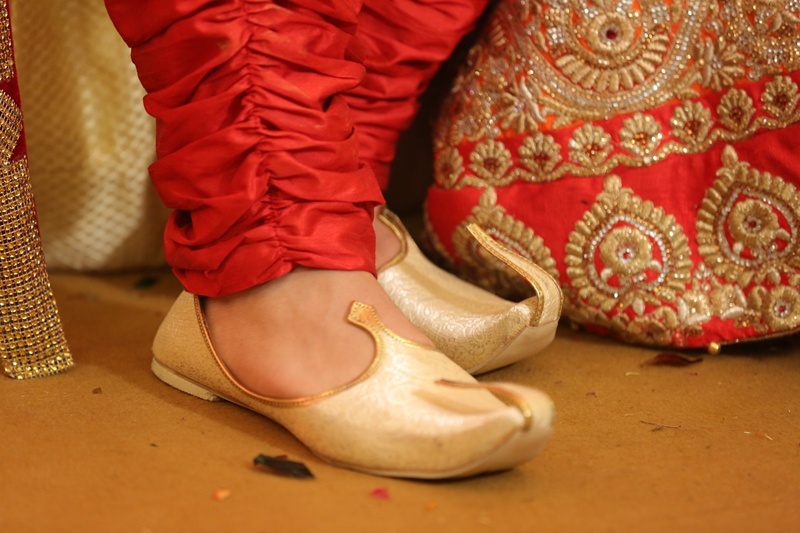 Her bridal jewellery included a pair of gold kaliras, a mang tikka, gold ear rings, a necklace and an attractive pair of choodas. 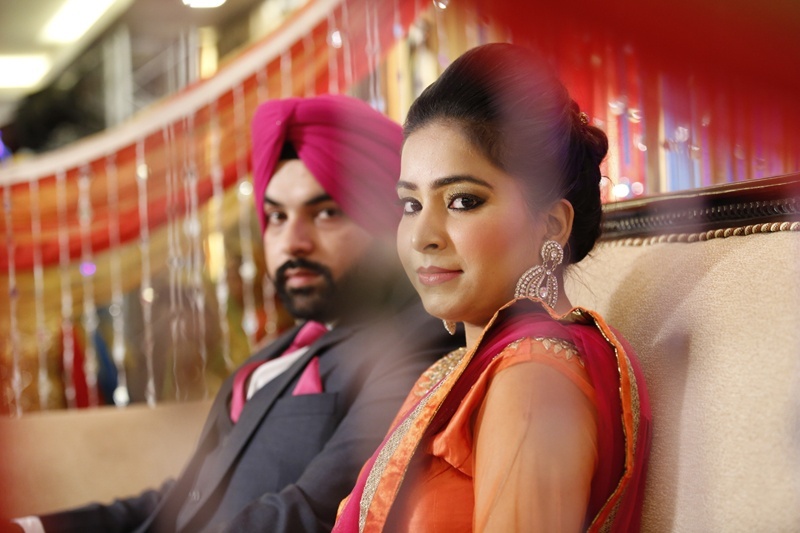 Amanpreet donned a plain white shervani that had a rich patchwork on the collar and the right forearm. 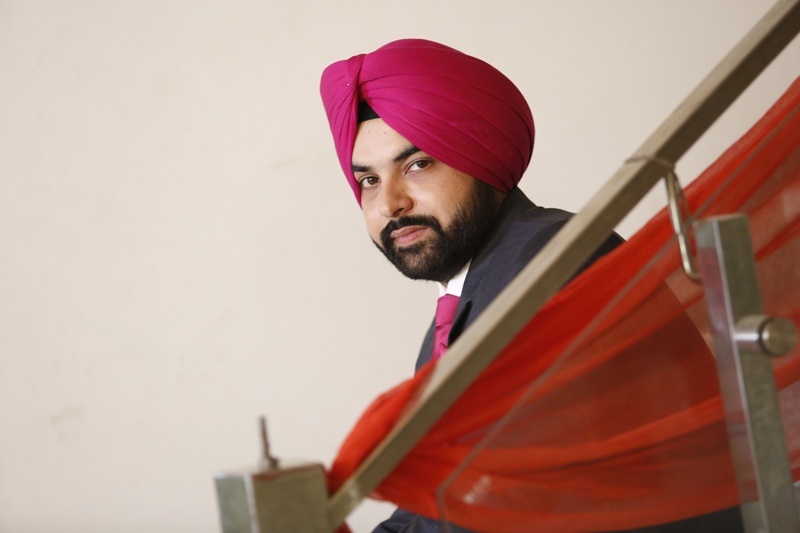 The red turban added a colourful touch to his wedding outfit. 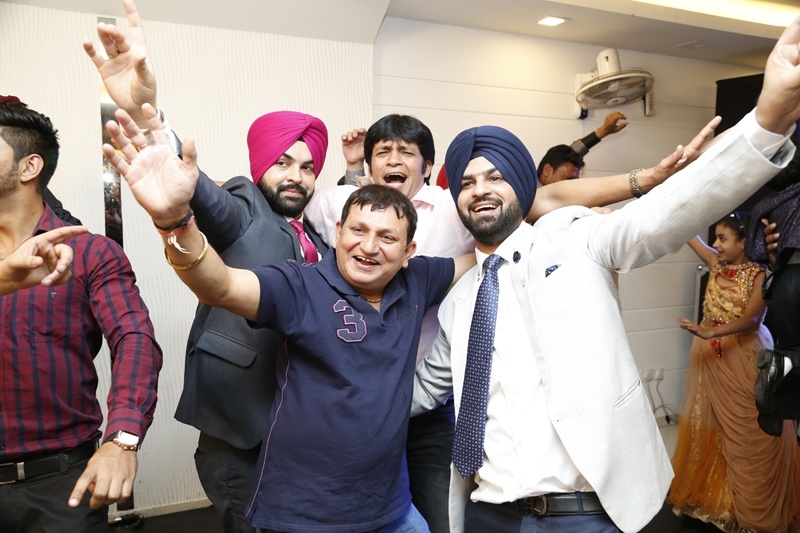 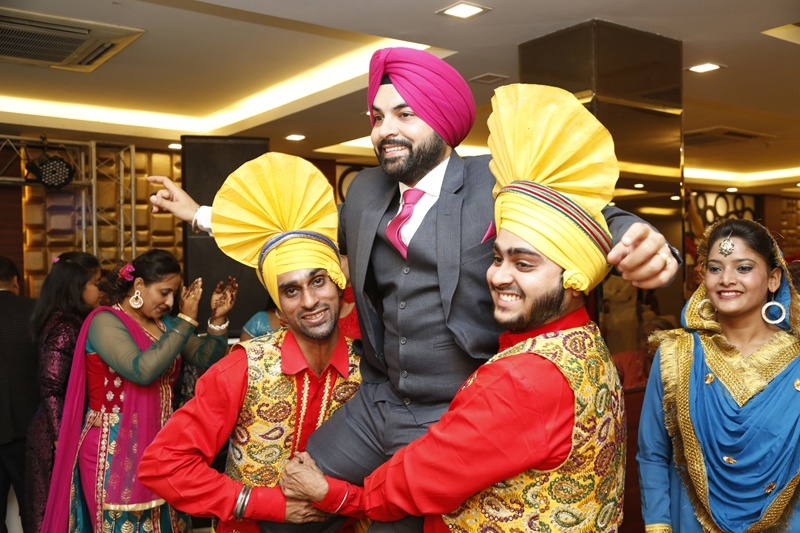 Dancing on the beats of Bhangra, the groom arrived in style for the engagement ceremony. 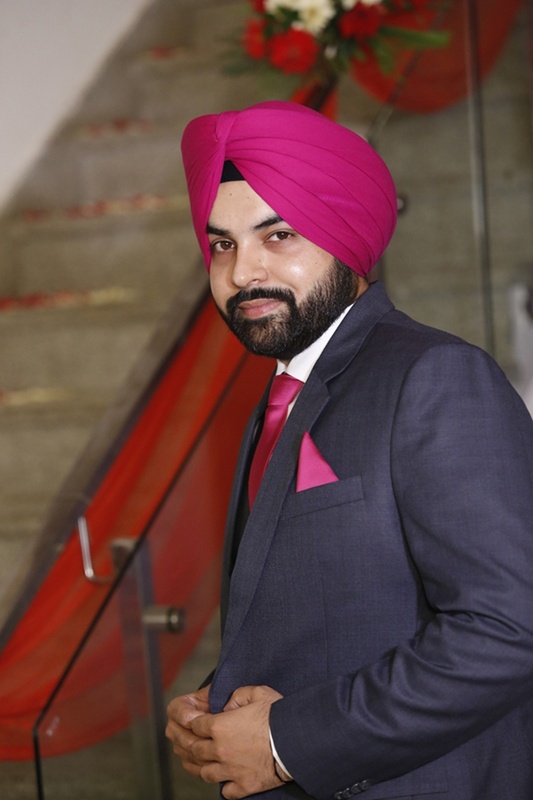 He wore a charcoal grey suit and a pink turban and styled himself really well for the occasion. 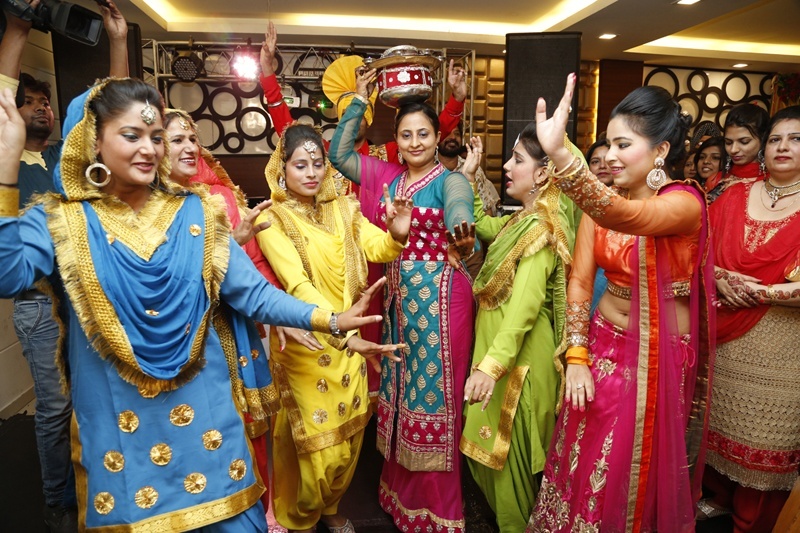 Accompanied by female folk dancers, the bride made an entry with a fun giddha performance, wearing a fuchsia and orange bridal lehenga. 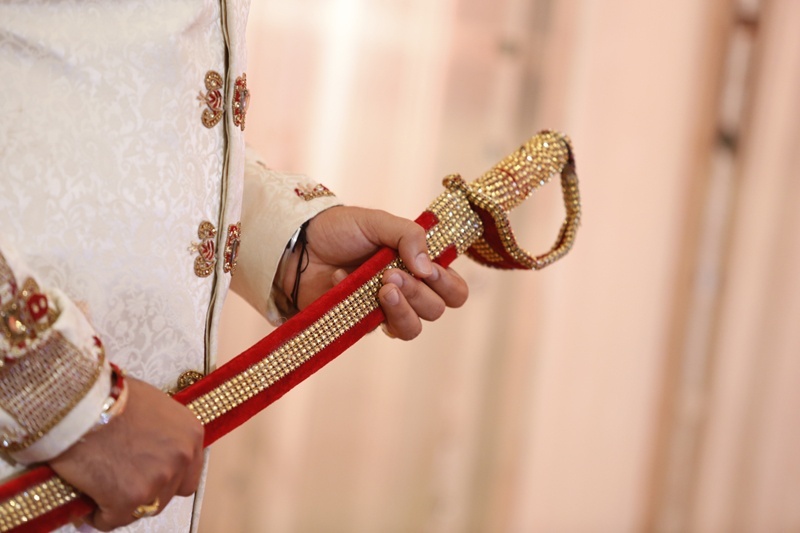 The charming expression on the wedding couple’s face while exchanging the rings, was captured by Siddha Photography.